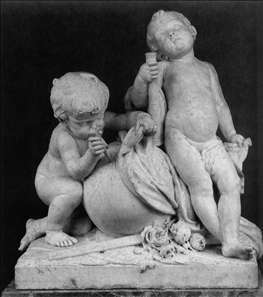 French sculptor, pupil of Falconet and Louis Vass. 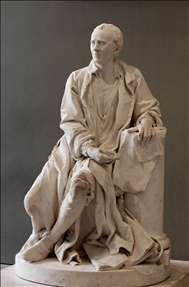 He won the Premier Prix de sculpture in 1758 and entered the cole royale des lèves protgs. He went to Rome and stayed there between 1761 and 1768. Returning to Paris he was accepted (agr) at the Acadmie with his marble group Oedipus et Phorbas. He became member of the Acadmie in 1771. 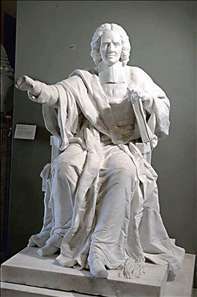 Flix Lecomte s effigy of Franois de Salignac de La Mothe-Fenelon holding a voluminous copy of his Telemaque was included in the very first group of four statues commissioned in 1776 by the comte d Angiviller for the groundbreaking historical series of the great men of France. It was exhibited at the Salon of 1777. He regularly exhibited at the Salon. 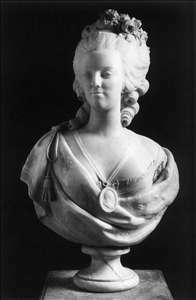 In 1783 he presented the marble portrait of the Queen Marie-Antoinette, in 1789 the life-size statue of Charles Rollin. See more details about "Astronomy and Geography"
See more details about "Jean le Rond d'Alembert"
See more details about "Marie Antoinette"
See more details about "Oedipus et Phorbas"
See more details about "Charles Rollin"